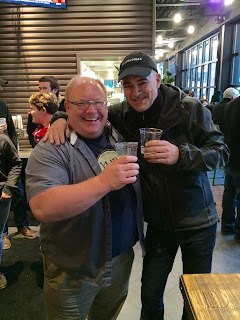 I was invited to join the media preview of a limited-time beer this past Friday. My decision to attend turned out to be a good one and I pass this information along for you to put to good use in the coming days. 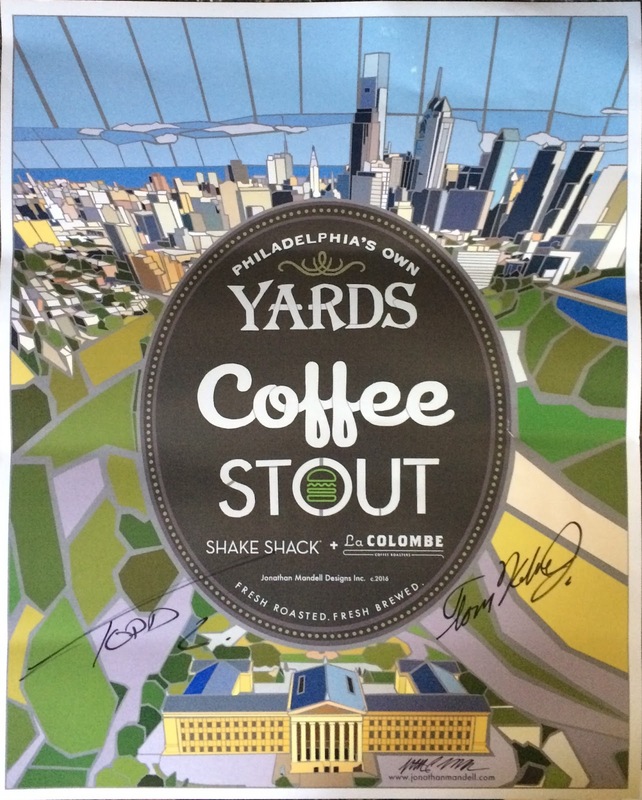 Philadelphia-based Yards Brewing Company and La Colombe Coffee Roasters teamed up with Shake Shack (three locations in the Philly area) on a beer that will be available for a very brief time. 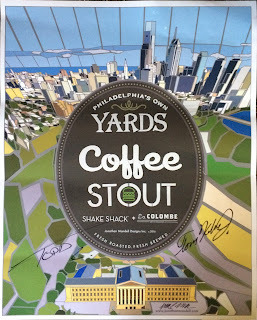 The collaborative Coffee Stout was unveiled later on Friday to the public and is currently available in Yards' tasting room, La Colombe's cafe in Fishtown, and Shake Shack's three area locations (Center City, University City, and King of Prussia). I found the beer to be extremely drinkable — a term, by the way, that I plan to bring clarity to and use a lot in 2016. This coffee beer meets the criteria by exhibiting bold coffee flavor in a smooth stout (5.5% ABV) but in a not-so-overwhelming way as to prevent wanting two or more glassfuls in a session. 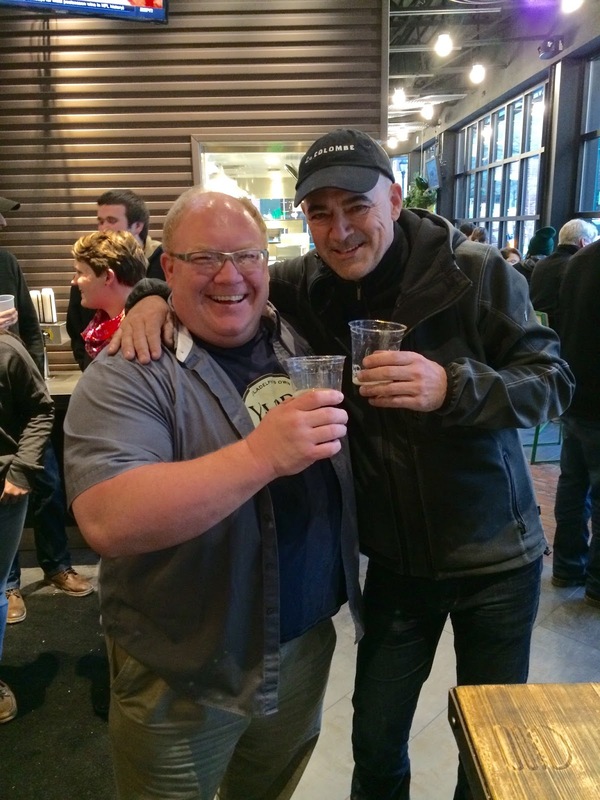 As part of a bigger picture study, I'm believing more strongly than ever that the survival, post-so-called-"bubble", of breweries will be based significantly on their ability to consistently make predictably well-balanced and drinkable beers. In addition to be a flavorful and drinkable, the Coffee Stout is also a charitable drink from which $2 per glass is being donated to the Philadelphia Mural Arts Program. Reportedly, only 16 kegs are available (no bottles) so get some — and a ShackBurger — while you can.